So many great photos! Gurgi, you may have the most Cape Cod-oriented Duffy and Shellie May I've ever seen! 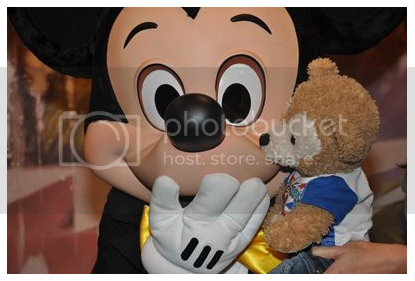 I'm new to MiceChat and the Duffy Forum so I'd like to introduce myself. I really enjoy the community so far! 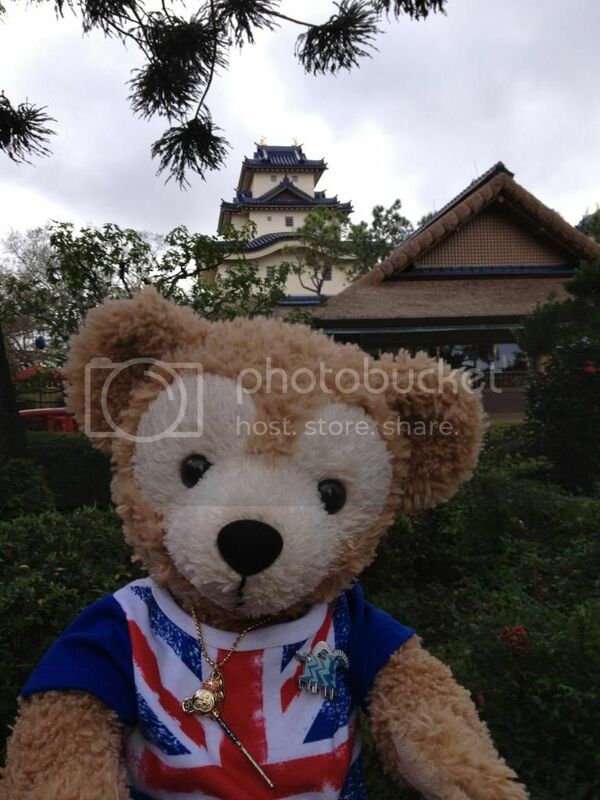 I just have to say DuffyDaisuki's picture of his smiling Duffy in haunted mansion attire is absolutely adorable...has anyone heard any talk of the smiling Duffys being released again or a smiling ShellieMay? 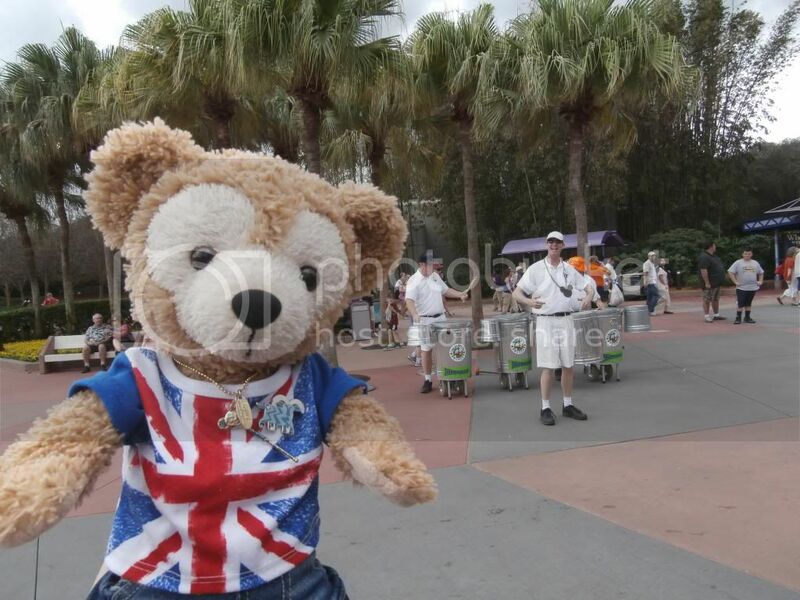 But last year for Spring Voyage, they had smaller smiling bears. They are a little larger (not smaller; sorry for the typo) than then 9" pre-dressed bears they sell in the parks and ridiculously cute. (Their smiles are embroidered on.) They came with an outfit and were priced about the same price as the 17" bears in Japan...just like the 12" pre-dressed Duffies cost $30 out here, just like a 17" Duffy. 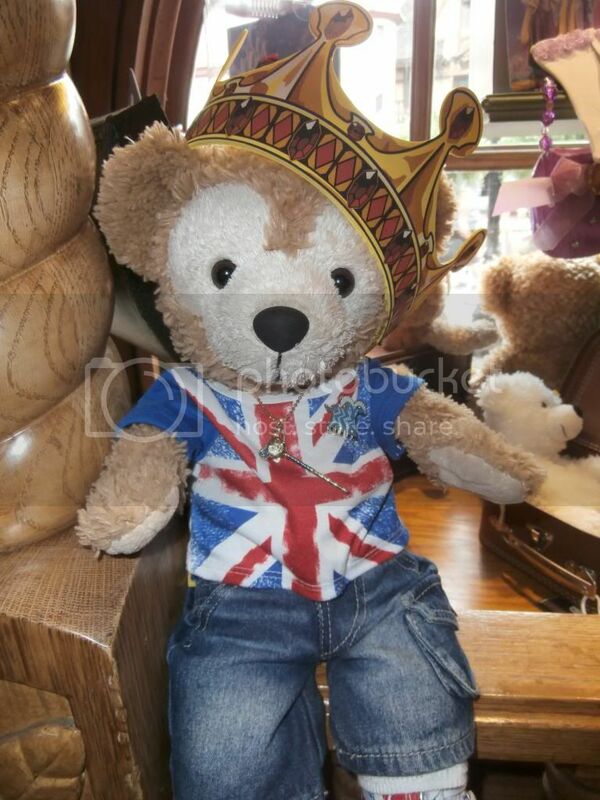 So maybe the smaller smiling bears will be out this year too! Last edited by Eeee-va; 01-18-2013, 06:08 PM. Thank you Eeee-Va for posting the picture for me. I need a 101 lesson on how to post picture's. It's hard to teach an old dog new tricks!!! 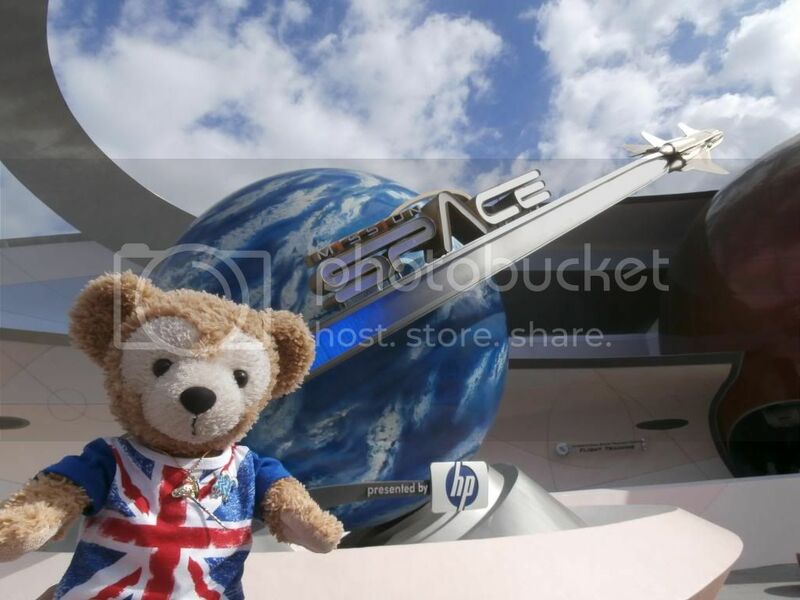 Duffy the Aviator took a 3 hour trip to the parks on Saturday. 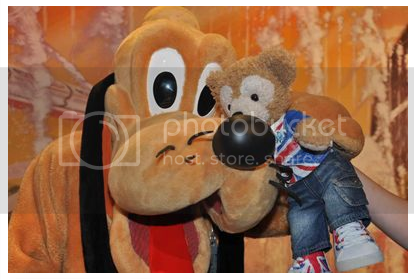 And Almost got eaten by Pluto! 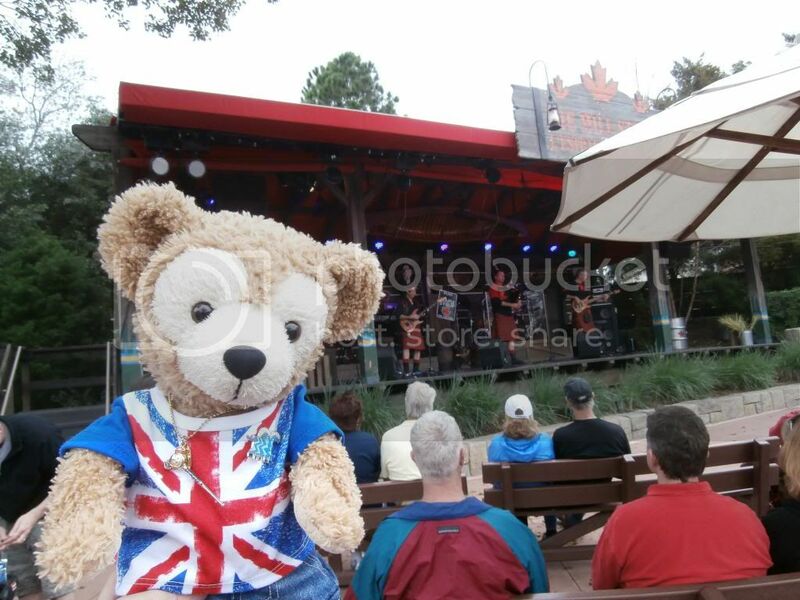 Duffy and I made our first visit of 2013 to Busch Gardens last week (and renewed my pass for another 2 years). And tried on some hats! This is a great picture with Mr. Kangaroo! And how much do I LOVE his C3PO t-shirt! 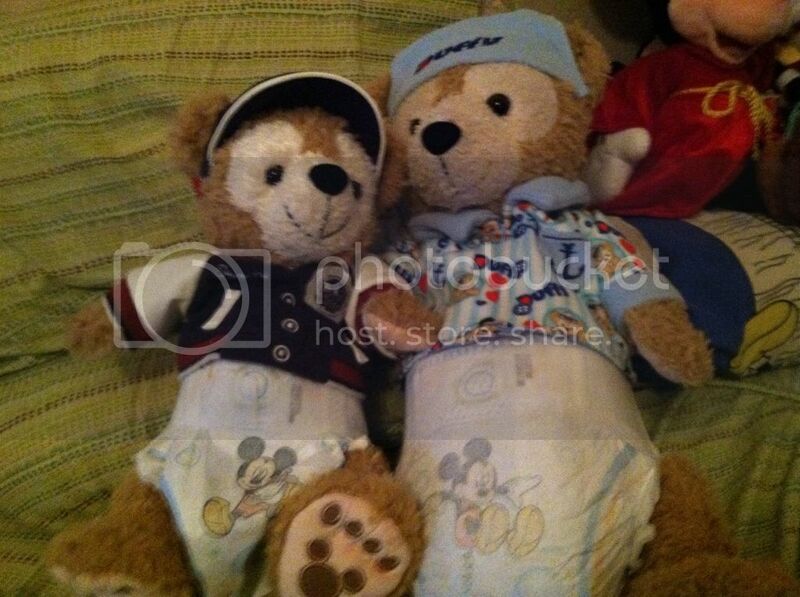 Have a very Sweet night from Duffy and Minnie. Aimster, I have to say that kangaroo looks awfully suspicious!! 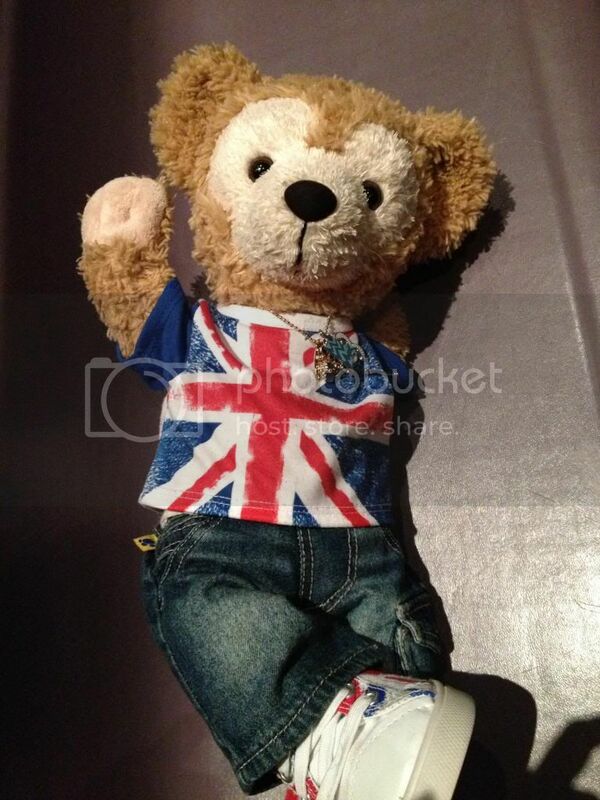 LOL, it's like he's waiting for you to look away for one second and Duffy will be his. Duffy got some more hockey Mascot time!! 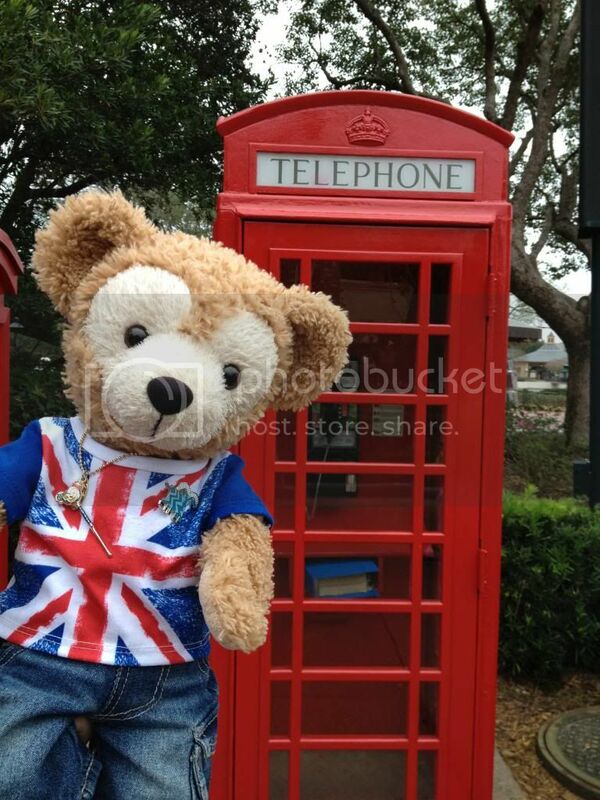 Im glad your stuff came in do you have an American Duffy? I ask because Duffys from Japan are really soft (or at least the three I have are). My Shellie is very soft too. 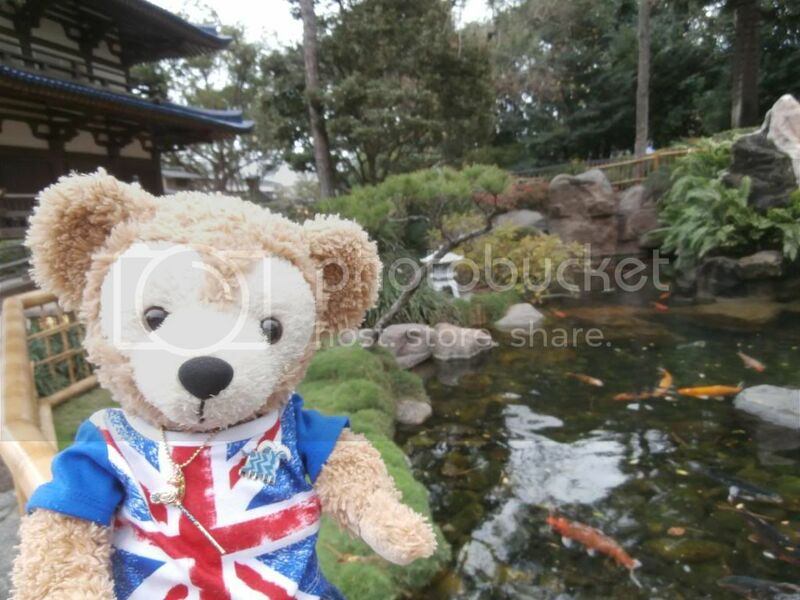 I think the ones from the states aren't as soft as the ones from Japan. I am too. I absolutely love the things I got. If I had more money I would have bought the outfits. But it's okay. 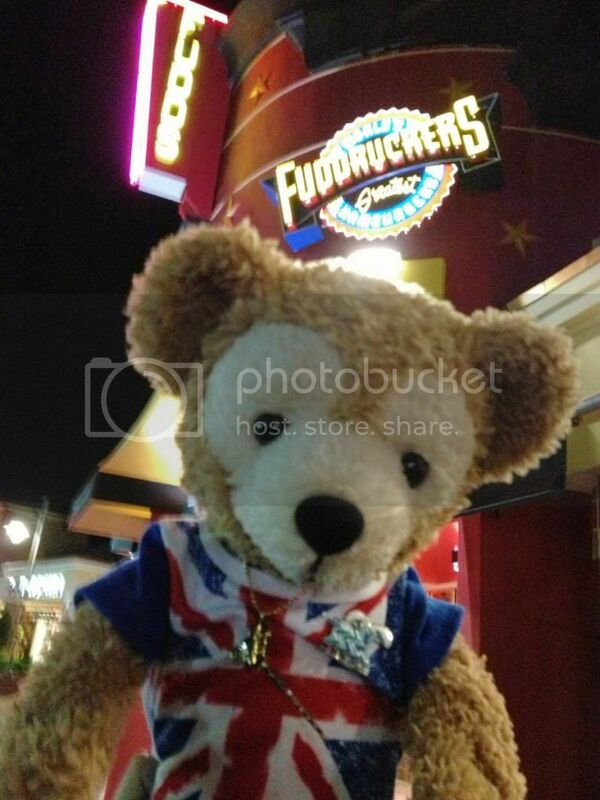 Yes I have an american Duffy. 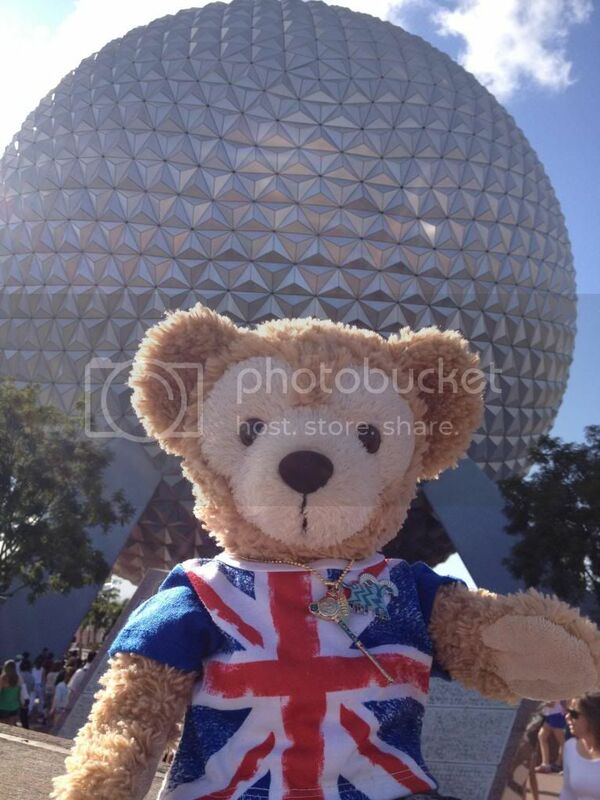 I don't believe the Duffy's from the states are as soft. 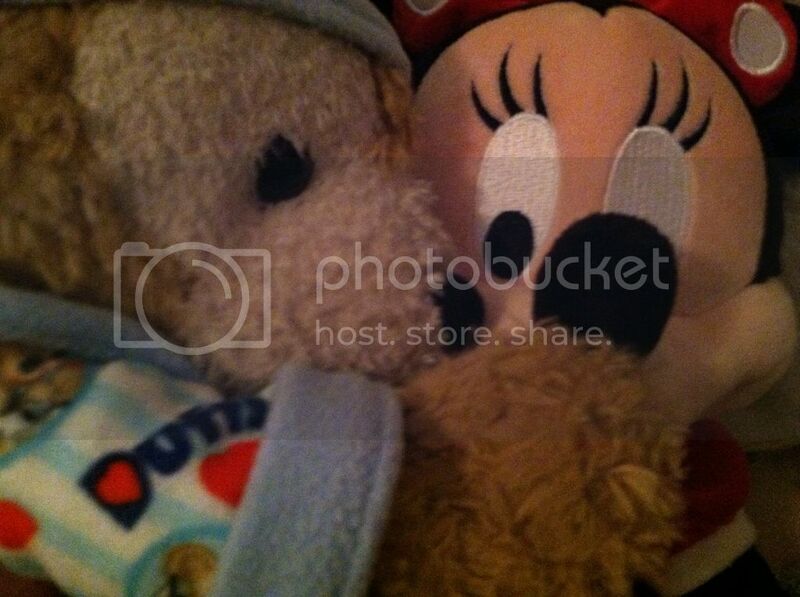 At first I thought my Duffy was really soft until I bought my Shellie May. She is alot softer. 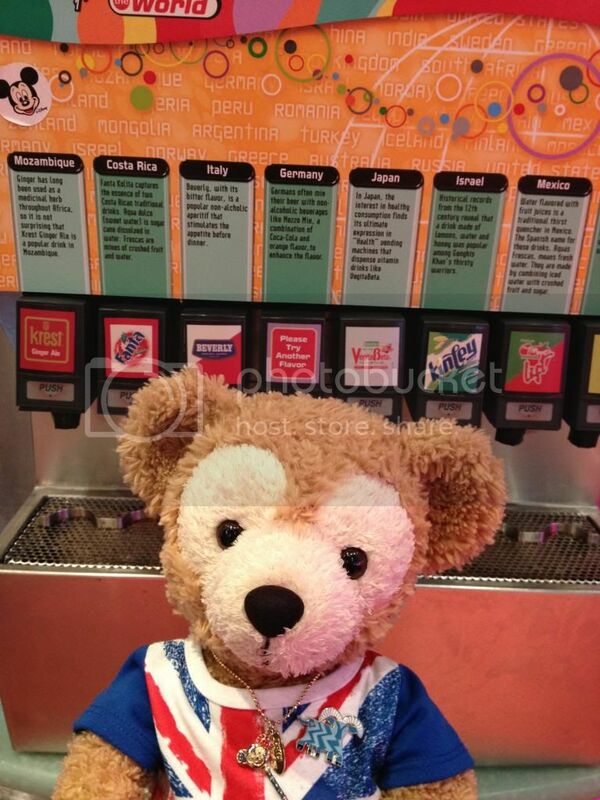 o.o Why can't the states make such soft Duffy's? 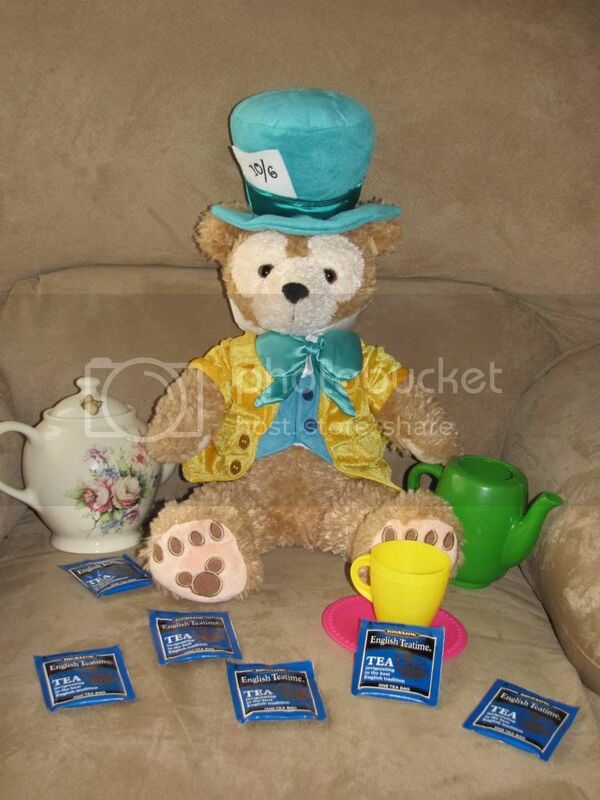 I'm not sure why the states Duffy aren't made softer. I'm guessing it has something to do with cost. It may cost more to have softer stuffing and the time to place the stuffing just right. I noticed BaB are always so hard. it usually goes back to the cost of things. 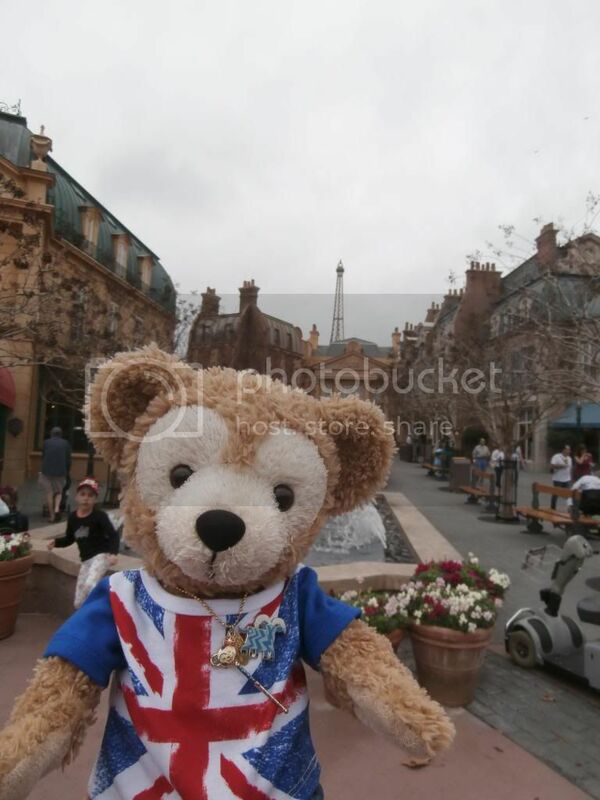 Oh, DisneylovrDuffy, she's so beautiful. Welcome to your new home, Shellie May! When I received my Shellie May last year, I too was amazed by her softness. 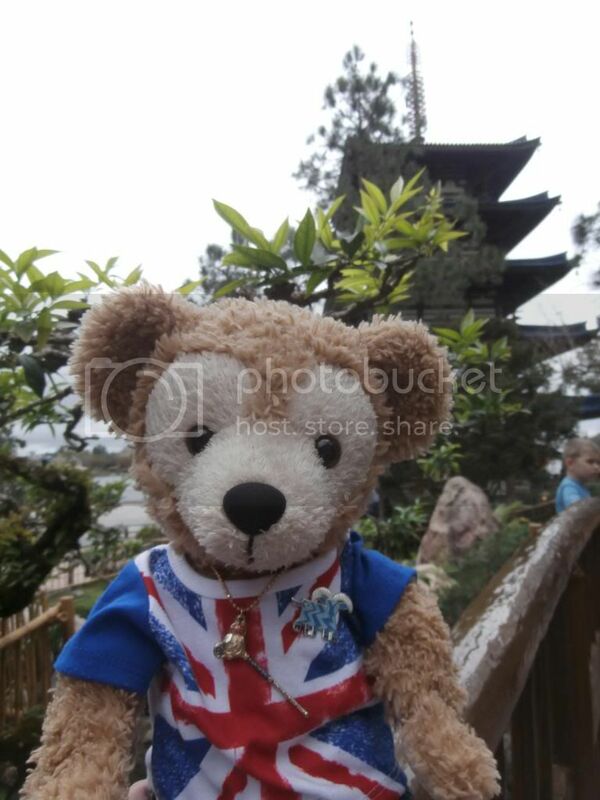 It rivaled that of my Pirates of the Caribbean Disney Bear (whom I've named D.B.). Granted my Duffy has been very well loved, but I don't remember him being as soft as Shellie May when I first acquired him. 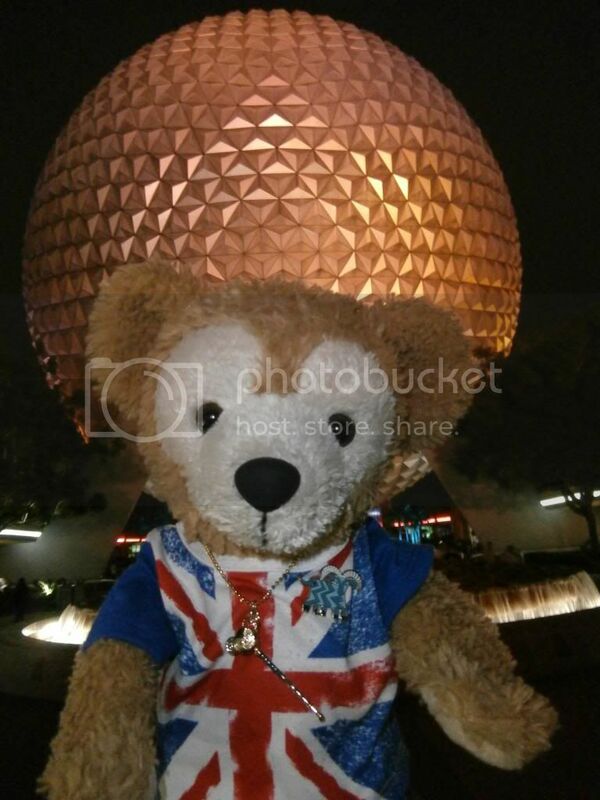 Duffy and I took a spur of the moment trip to Epcot yesterday. 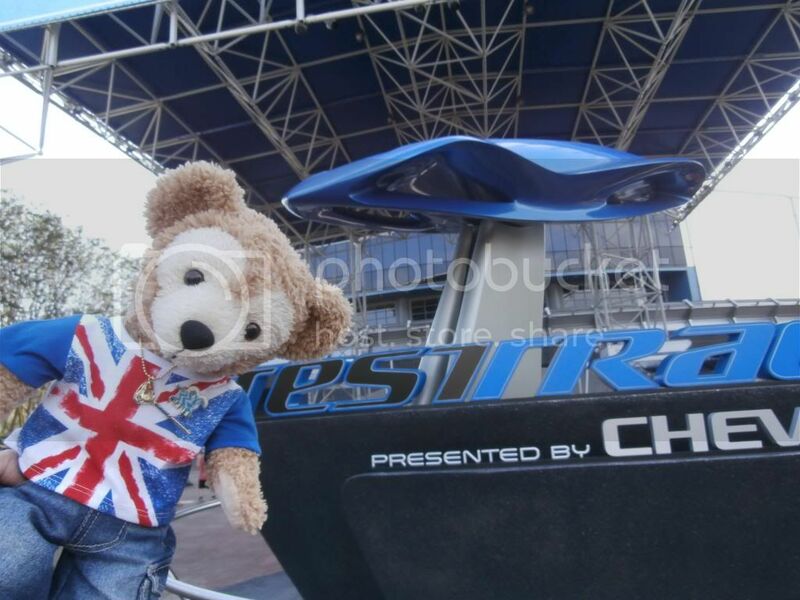 Our first stop was Test Track. Single Rider had a posted 10 minute wait. Since we're wusses for this one, we did Team Green (I can't do Orange anymore as it gives me a migraine). The Jamitors were playing, so we stopped and watched for a few minutes. 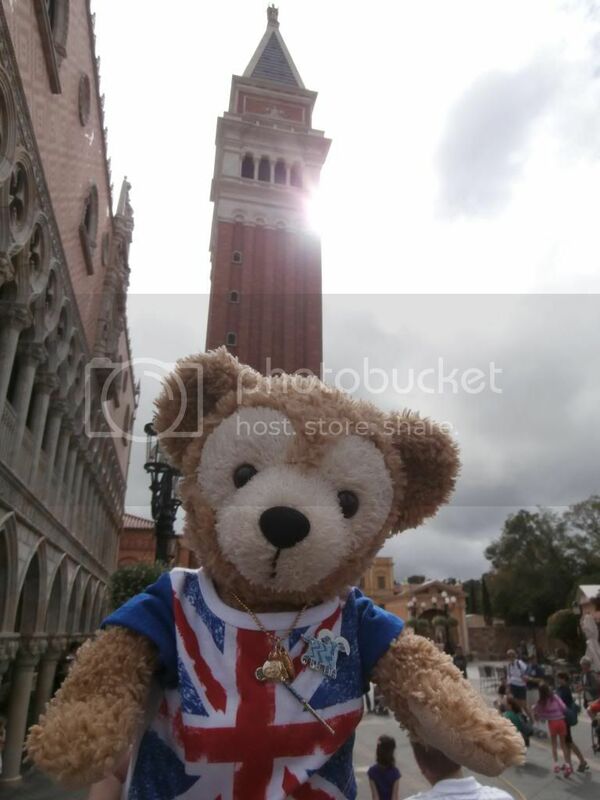 From there we headed to World Showcase. We decided to do something new this time. 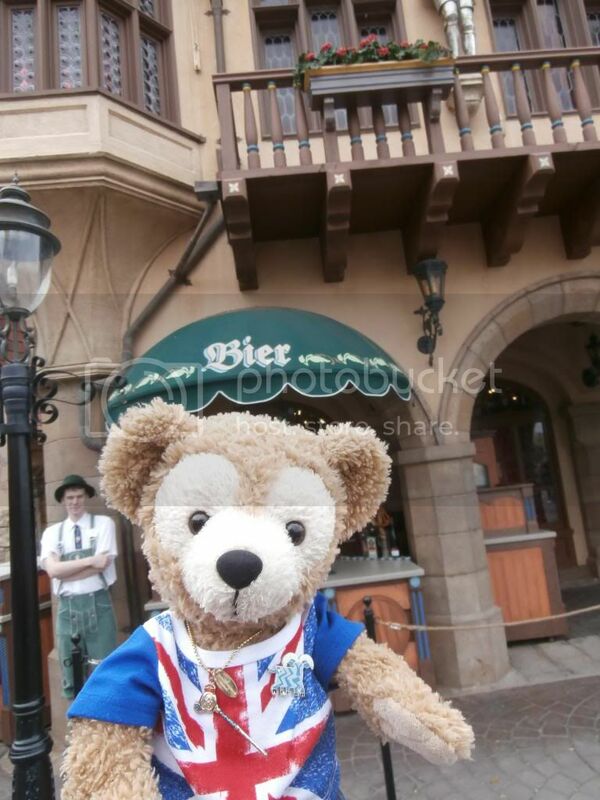 We got an autograph book and pen for Duffy to get autographs from the different characters. 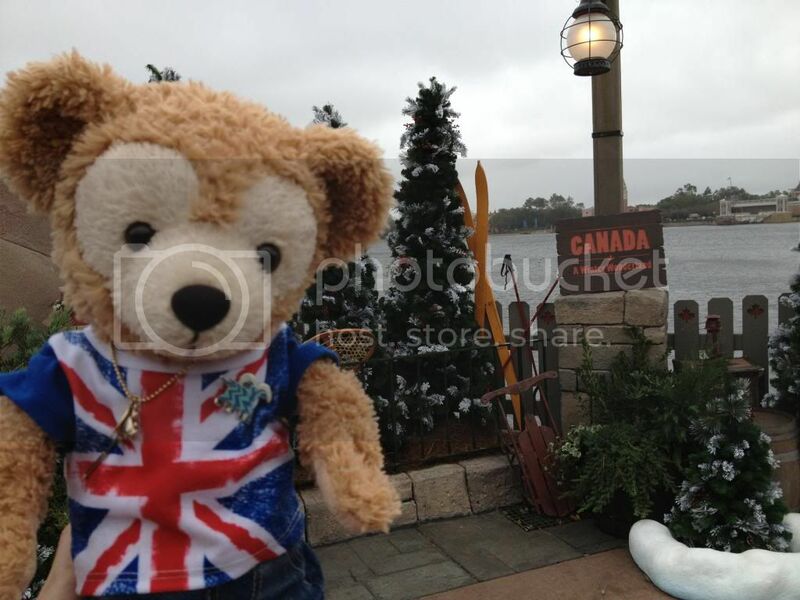 First stop of course was Duffy. 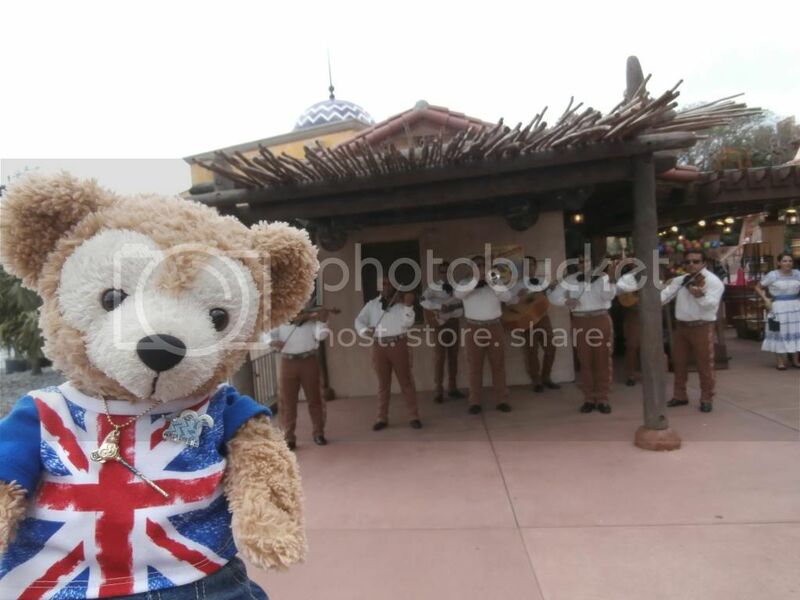 Next, we stopped in Mexico to see Donald, then stopped to listen to Mariachi Cobre for a couple minutes. Bier? Now you're speaking my language! 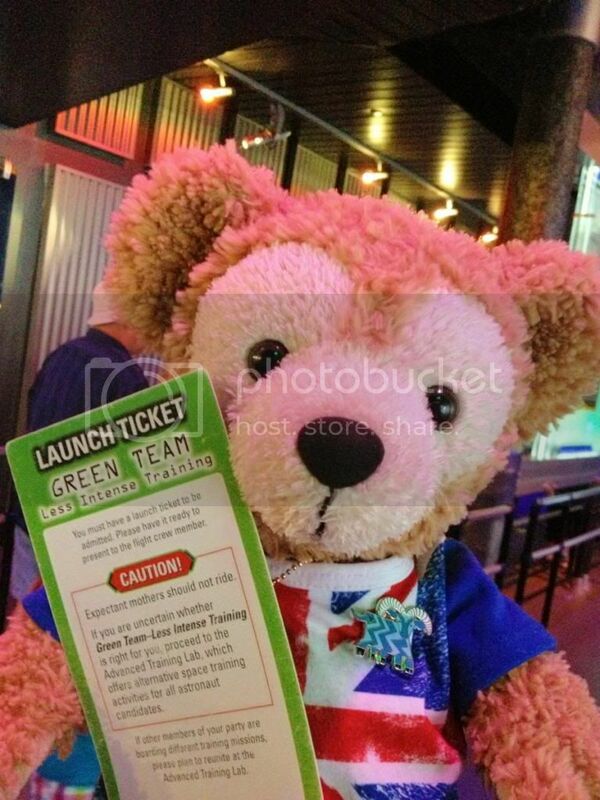 Like myself, Duffy loves a good brewski. Viva Italia! We caught the end of the street performer's show. 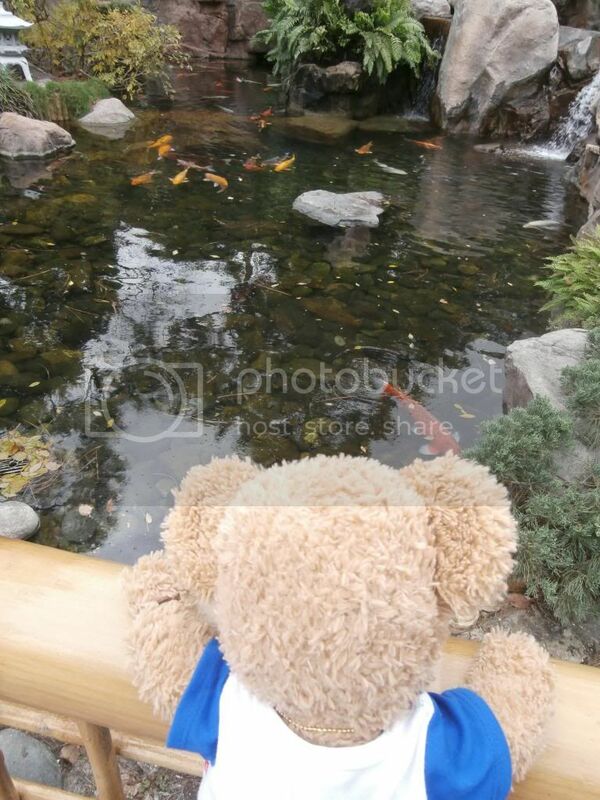 For lunch, we stopped in good old Japan. 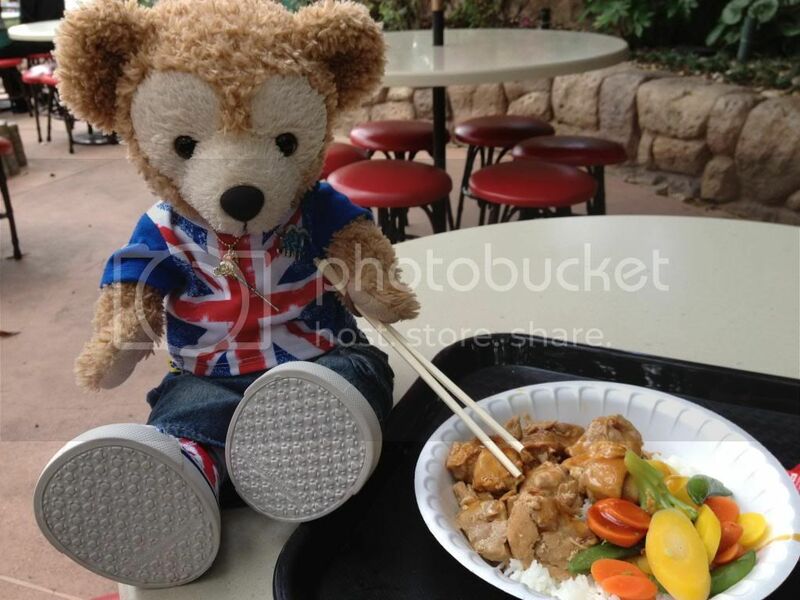 We got teriyaki chicken with rice and steamed veggies at Katsura Grill. Part of me wanted to try the sushi, but wasn't sure how good it would be. 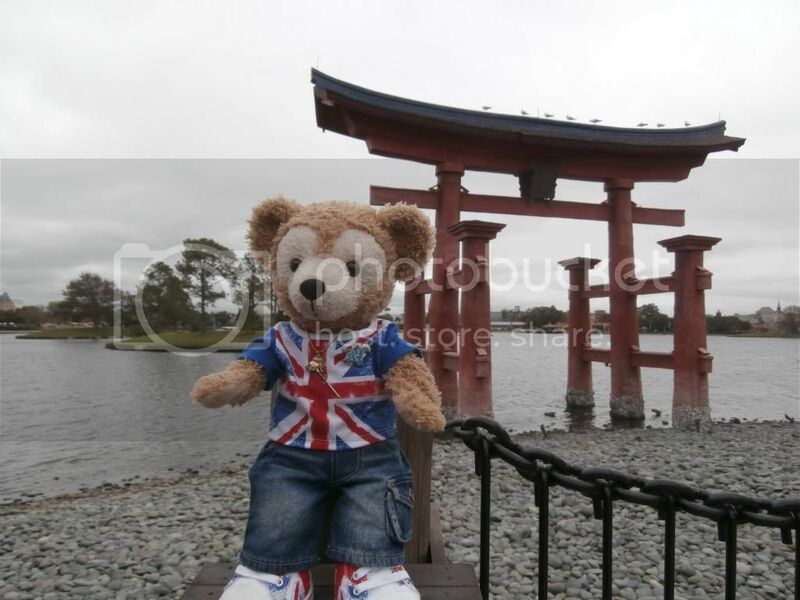 We spent awhile in Japan looking around like we always do. Wandered around Mitsukoshi. I love that store. So many things I wanted to buy! I saw this awesome Chococat tote bag I SO wanted, but it was $50! We were on a shoestring budget yesterday so I had to pass it up... for now. 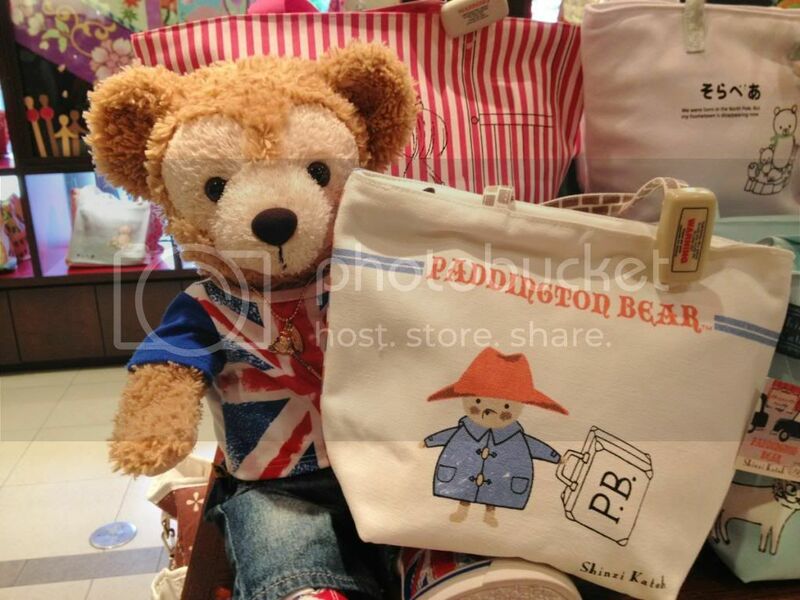 Duffy wanted this awesome little Paddington Bear tote bag, but it was $25! Yikes. Checked out the new pastry shop in France. Didn't get anything as we were full from lunch, but the menu looked good. 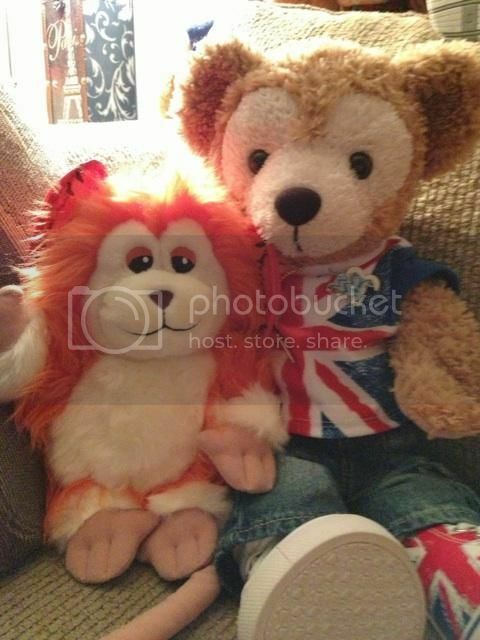 Stopped in the UK to see Pooh and Tigger (and the usual shenanigans happened as those 2 were in a playful mood). Stopped in Canada to see Off Kilter (British Revolution wasn't playing yesterday). Love these guys. Checked out the "Winter Wonderland" thing they had for "Limited Time Magic". The characters weren't out but some people were using the backdrop as a photo op. Limited Time Magic? More like Limited Magic. LAME. Back in Future World, we made our usual stop at Captain EO. 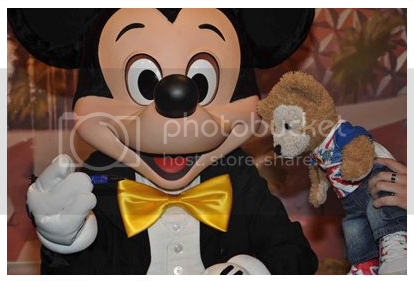 ...we went over to the Charcter Spot to see Mickey, Pluto & Minnie. Also wanted to see a CM friend of mine who works there, but we missed her by about 15 minutes (got there before her shift started). Of course more shenanigans ensued. 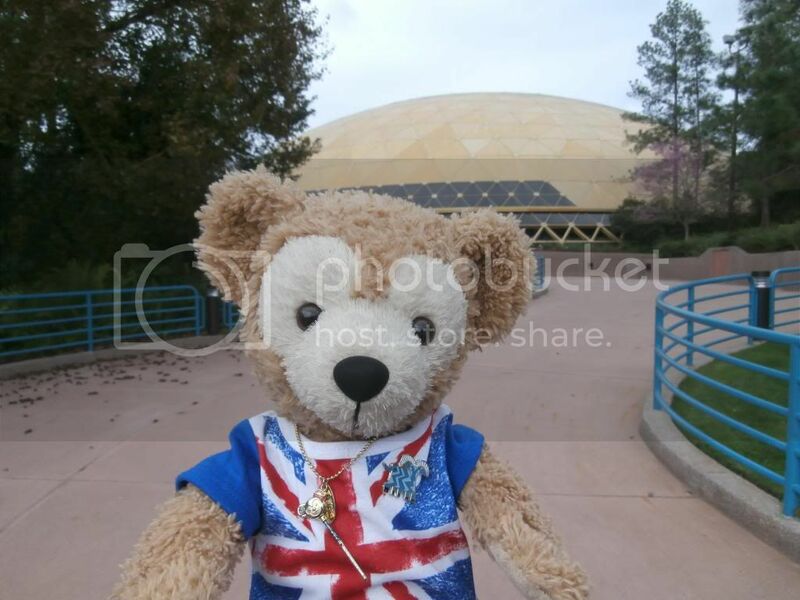 From there we went to Universe of Energy as Duffy hadn't been on that yet. I told him it's a loooong attraction, so he figured he'd a power nap in. And..... it BROKE! 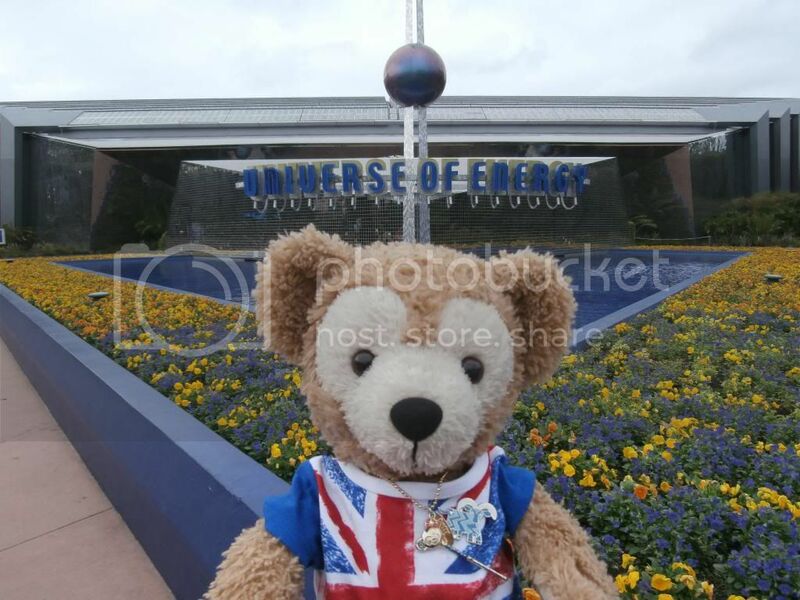 The Universe of Energy ran out of energy! Right as we were supposed to go into the last theatre. 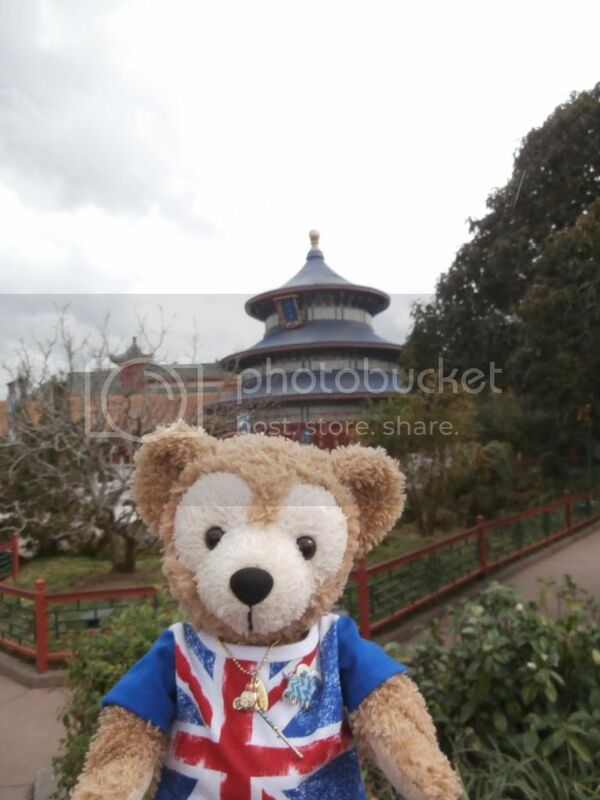 We were evacuated, but it wasn't anything special since the ride was almost done anyway. Was still funny though and several people in the theatre car I was in were laughing. I see you there, former Wonders of Life pavilion! Then we made the most awesome discovery.... 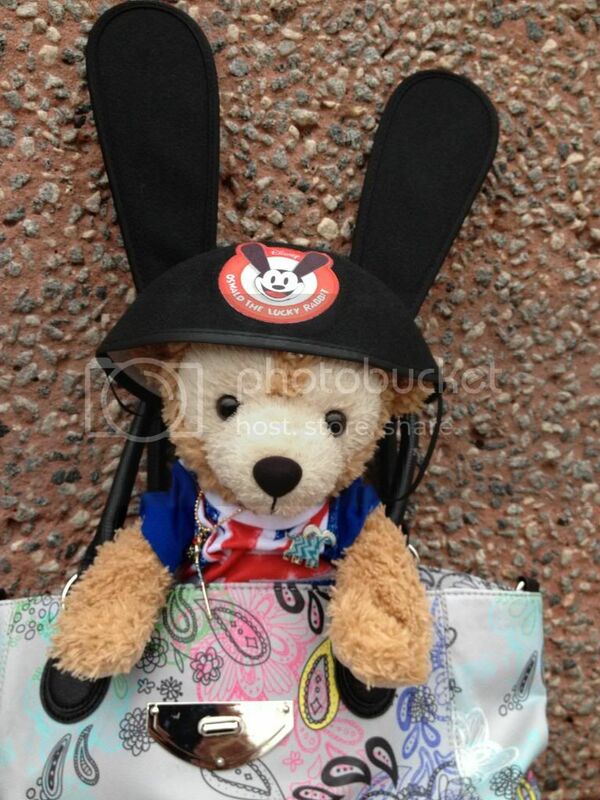 They're now selling Oswald ears at WDW! I got a Disney gift card for Christmas, so I used that towards a pair. 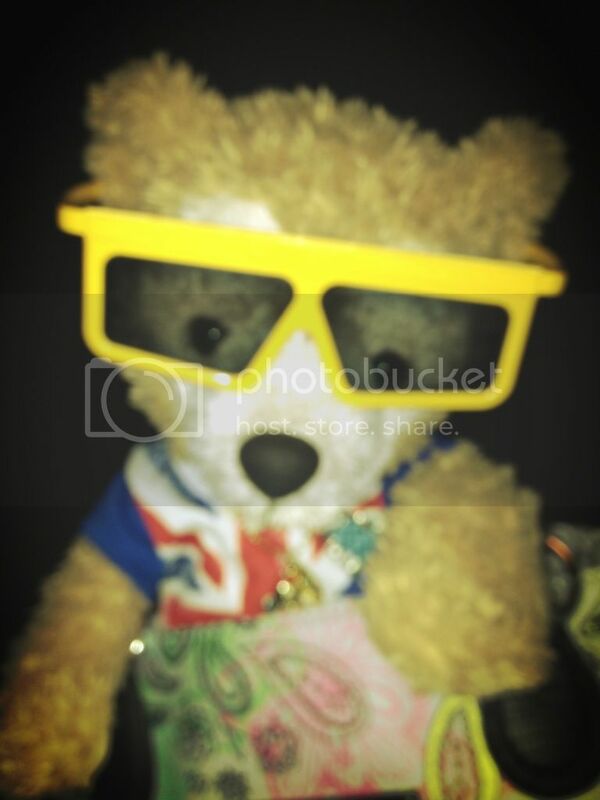 After a spin on Spaceship Earth, it was time to head out. 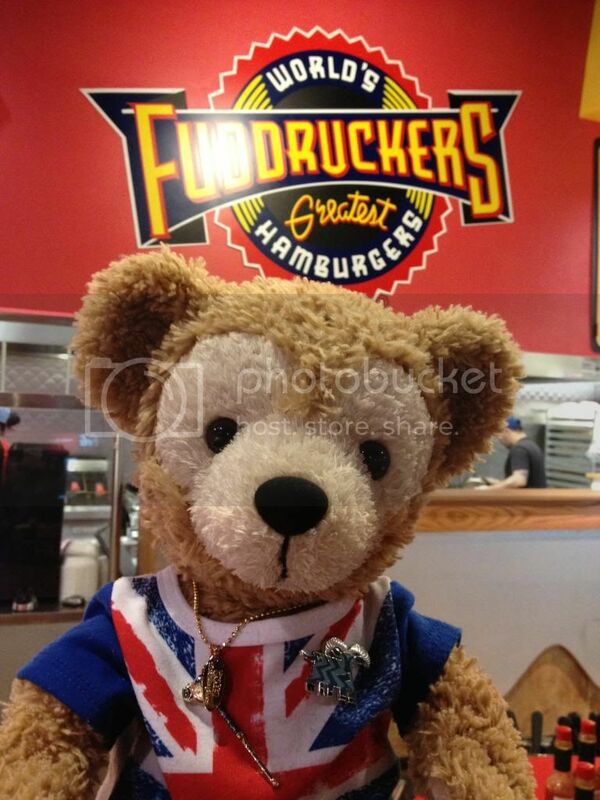 We had a dinner date... with Fuddruckers! We got a couple cookies and a rice krispy treat to bring home. After Fuddruckers, we went down the road to the outlet mall. Looked around, but the only thing we got was a plushie of Fuzzball from Captain EO at the Disney Character Warehouse for $5.